A loan of $900 helped to purchase corn, etc. This member belongs to the communal bank Reynita de Belen Ccorao. The bank is located in the district of Ccorao, which belongs to the province of Cusco and the department of Cusco. The member is Teresa. 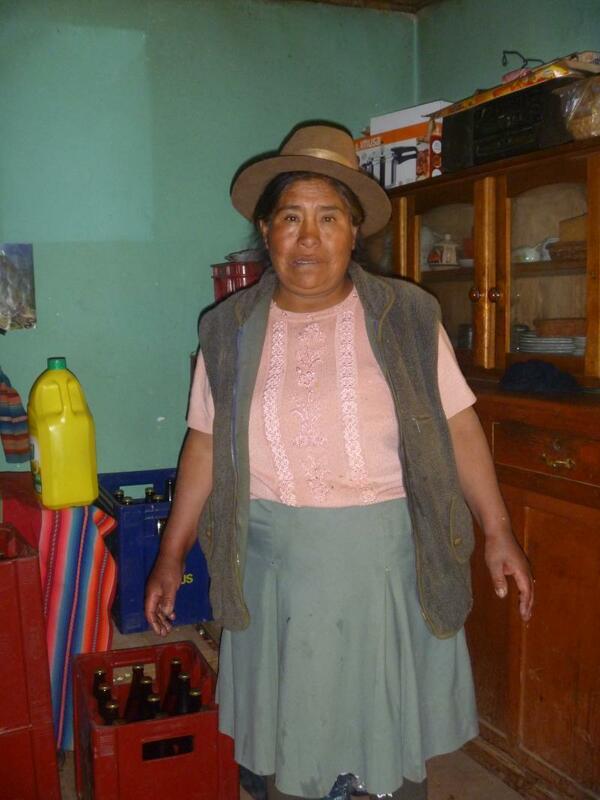 She continues earning a living with her business of selling chicha (corn-based beverage). She is grateful for the loan granted and is committed to making her established payments. She has had her business a long time, and it is going well for her thanks to the determination she puts into it each day. She is a responsible and hard-working person. She hopes to earn more profits with her business in order to continue supporting her family. This is the way that she provides for her family. She is requesting the loan for the purchase of corn, etc. La socia pertenece al banco comunal “REYNITA DE BELEN CCORAO”; El banco está ubicado en el distrito de Ccorao, perteneciente a la provincia de Cusco y departamento de Cusco. La socia es la Sra. Teresa; La socia sigue dedicándose a su negocio de venta de chicha (bebida a base de maíz), la socia se siente agradecida por el crédito otorgado y se compromete a cumplir con sus cuotas establecidas, la socia lleva buen tiempo con su negocio el cual le va bien gracias al empeño que le pone cada día a su negocio, la socia es una persona responsable y empeñosa, la socia espera poder obtener más ganancias con su negocio para de esta forma seguir apoyando a su familia, siendo de esta manera que la socia saca adelante a su familia. La socia solicita el crédito para la compra de maíz entre otros. It reaches borrowers in underserved and disadvantaged areas in Peru.